As a principal in the firm’s audit department, Ken’s duties consist of special projects including acquisition/divestiture support and technical reporting issues as well as temporary CFO and controller services. Ken joins Vrakas with over 30 years of experience in both public and private accounting with an expertise in the travel services industry. 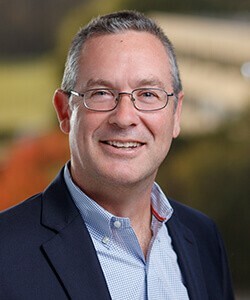 Throughout his career, Ken has developed an annual $40 million foreign exchange program for an international subsidiary to reduce gross margin variability and reduce exchange risk allowing the subsidiary to better control profitability while ensuring the program complied with requirements of generally accepted account principles for hedge reporting. In addition, Ken has also provided due diligence support for a merger allowing for completion of quality of earnings analysis that resulted in a successful combination. Born and raised in southeastern Wisconsin, Ken currently resides in Greenfield with his family. In his spare time, Ken enjoys hiking, biking, travel and watching/attending sporting events. I strive to utilize my experience, along with a willingness to listen to clients and get into the details, to provide solutions that allow clients to achieve their goals.